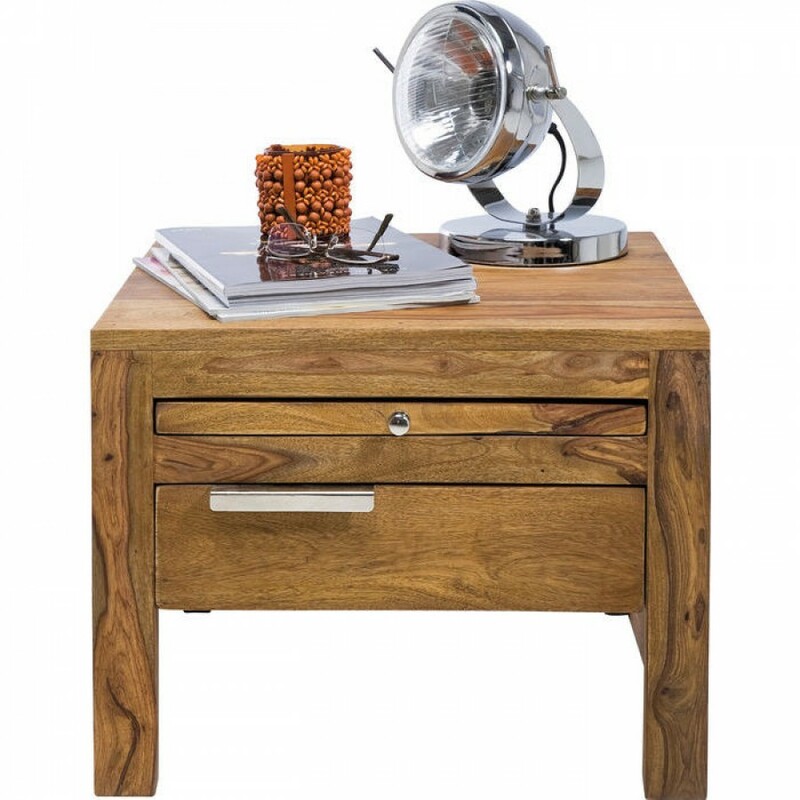 A charming bedside table with natural flair - A stylish cube-shaped bedside table which makes an impact with its natural aura. The wonderful grain of the massive sheesham wood gives the table its unpretentious charm, while the look is rounded off by handles in high-gloss steel. The Authentico series unites modernity with the strong aura of solid wood and a clear formal idiom. The spacious drawer provides storage space for lots of things and the pullout tray is also highly practical. The Authentico series contains a wide range of articles for the living room, bedroom, dining room and office.